Ok, so I've actually known the 2 main members for a while now, not personally, but I've known them from their previous gigs. Maya was from Miyavi's support band but while my friend was rooting for Miyavi, I was rooting for Maya. He has talent, I could tell. And Aiji was from the band Pierrot. Now I wasn't too much into Pierrot at the time just for the fact I had just began to regain my interest into Rock music from Japan. In 2006 LM.C came to be. Maya and Aiji stepped up to the plates along with their trusty band. I'll say "band" not "support band" even though Aiji does play guitar and of course Denki Man!!!!!!! <3 Now this review will be kind of different because it's also going to deal with my "experience" there. Now I got into town about 12pm and I ate lunch then we took the subway to ACEN. I could feel the energy building up and I could just sense that it was going to be a great weekend. My friend and I go to shop and I literally spent Friday looking for the LM.C booth. When I saw it I jumped up and squealed. I was so relieved I found it that I scared another lady at a different booth! I'm sorry lady but I just found LM.C. So I spent roughly 275 on LM.C merchadise which you could win the banner there if you had the winning ticket. I didn't win even though I had 13 tickets! Though I have to say that a cosplaying Maya won! Everyone can agree that is the greatest end to a weekend. Anyways back to the concert night. After shopping we went to go wait for the concert but guess what? I can't have my suitcase and the IRT told me that there was nothing I could do. I began to cry and kind of went into a door way because I thought I wasn't going to see LM.C but my trusty friend Luna came up with a solution so we scurried up to the Hyatt and they'd happily held our bags for us. So we waited for what seemed like hours until they finally began to line us up outside, then an IRT guys stopped and pointed out that my bag may be to big. So he gave me a card and I ran back to the Hyatt..literally I RAN! even though I had like an hour to get back. So I dropped off our purses and I turned and just ran back to my spot. I got back into my spot and we began to line back up inside. As we were waiting for what seemed to take forever my fellow fans and I began to sing "Oh My Juliet" as the manager came back around. I began to sing the chorus and he pointed out "Oh she's singing the song!" Like his finger was really in my face then after I finished the chorus I covered my face. I didn't realize that the other girl had stopped before me. After that we began to chant "LM.C!" The doors opened and we began to walk to the fill the room. I got to the front row on the far left and stayed there for majority of the concert until I found out a little girl lost her bag then I weaved through the crowd to try to find it. Then I noticed the big space that was left in the ballroom and deicded to jump and flail around like a complete moron. Needless to say that the songs were lively and up beat. Review over the concert: The concert was pumping and lively! Maya and Aiji were very interactive with the fans and put the mic out for the fans to sing and I screamed my lungs out with the lyrics because it was so loud. Needless to say, I had a good work out after the show to the point that when I got to the hotel room after dinner I just fell asleep. I didn't take my make up off or anything..I just slept. The next day was the meet and greet and the Q&A panel. I was quite nervous and also I had been carrying LM.C's gifts all day which I hope they kept. I didn't get them anything lethal. I noticed though that I don't think that there were as many people there as there were during the concert. Again we all lined up and I was able to get into the 2nd row right in front of them. Sadly there were no pictures allowed to be taken unlike Yoshiki's panel in 2011. Though 3 out of my 4 questions were answered. Maya and Aiji seemed to enjoy the Q&A session a lot. They were very honest too I believe with their answers and was curious to know what our favorite Japanese words was. I replied "Sunadokei" which they seemed quite intrigued to why I liked a word that means "Sand glass" and I explained "it's because after everything I've been through in life, I treasure what time I have on this planet, especially after an event that took place saturday.. I'm just very appreciative of my time on earth" And then my friend Luna said her favorite word was "Itai" which is used to say "It hurts" because she hurts herself a lot. Now a girl presented a banner during the weekend which I was highly impressed because she made it herself and I too had signed it. I got them each individual gifts. I think these were the only gifts though that they were given. I'll post the photos and questions down below. Now during the fan meet I have to say it wasn't that "orderly" because of the multiple times people could have gone up to get things signed but I have to say it's very thoughtful that they took pictures with us. Maya how ever seemed shocked when I told him "your welcome" in Japanese. As if to say "You know it?" This made me very happy though I don't think they realized that we could have easily blown up the photos. Over all this had been the greatest weekend ever. The band review overall: I've been a fan of LM.C since they've debuted and to know that there is not another band that has their sound makes me reassuring that this band will go places though Aiji thinks that their "rival" band is LMFAO which made me kind of snicker. If you like a band that you can jump around and dance to with lyrics that just say "be yourself" then I highly suggest LM.C and knowing now first hand that they care about their fans makes me love them even more. 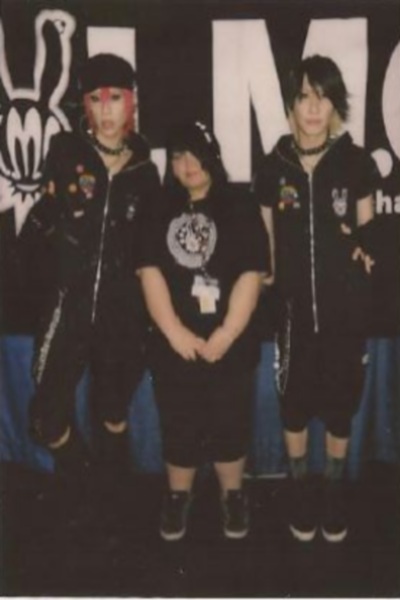 I overheard that a girl from the "Make a wish" foundation was there so it's nice to know that LM.C wants to meet everyone. We are officially an LM.C nation. 1. Me: What inspired you to compose your music and write the lyrics? Maya: If the music is already written then I listen to it and get inspired by that, if it's not then I go by everyday life. 2. I know this has been asked before but where did the band name "LM.C" come from? Maya: We went with a name that really had no meaning to it. 3. (Eddie A new fan of LM.C) : What got you into music? 4: (Eddie) : Who suppored you on this journey of your dreams? Maya & Aiji: The support band, because it's just 2 of us so it's hard to do all the insturments. Without them there would be no LM.C. 5: Where did the inspiration for the mad LM.C come from? 6: Of all the songs performed, which did you enjoy performing the most? Aiji: if you know our new album, the game of life. 1.What is your favorite childhood memory? Maya: After your question, for some reason, the memory of my grandmother carrying me on my back popped up in my head. 3. What was the first career you wanted? I decided to get some other fans point of views of the weekend thus far. I ran into a few girls who actually made a banner for LM.C and had everyone they could sign it for them. I'm hoping LM.C kept the banner and my gifts as well. Here are the voices of the fans. Q: Hoq did you feel when you found out LM.C was playing at ACEN? A: I'd about had a heart attack when I found it. I was willing to travel the 4 hours though others traveled longer than me! Q: What did you think of the show last night? A: Definitely amazing! I couldn't sit still or stop dancing and singing! Q: What are your favorite LM.C songs? A: I'm not sure if I have a particular favorite? I love all their songs and how the songs are different than the others. Q: How did you feel when you found out LM.C was playing at ACEN? A: I was very excited when I found out they were playing here! Q: What are your favorite songs? Q: How'd you feel about LM.C coming to Chicago? A: I was super excited! Q: What did you think about the concert? A: It was truly amazing! Q: What are your favorite songs by LM.C? Q: How did you feel about LM.C coming to Chicago? Q:What did you think about the show? Q:What did you think of the show last night? Q: What is your favorite song of LM.C? Below are the photos and playlist for Friday's concert. Overall I say this band is something new to the world and some one to listen to. The band has a new age sound that has swept the globe. 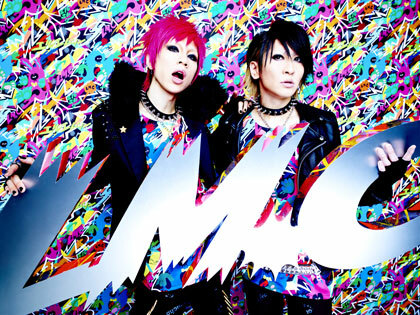 Check out LM.C as they are now on their world tour. I give this band a 10 out of a 10.